Following on from our post highlighting the best Christmas events at the Banff Springs Hotel, we have now put together a list of our favorite events taking place at the Fairmont Banff Springs Hotel during the 2010/11 New Year period. New Year is busier than Christmas in Banff, and we strongly recommend that all the following events be booked before you arrive at the hotel. If you haven’t booked your hotel yet, take a look at the hotel packages for New Years in Banff. Festive family dinner in the Waldhaus Pub with an after dinner skate on the rink outside. Exquisite New Years tasting menu with wine pairing in the hotel’s fine dining restaurant. *If you wish to continue the celebration and attend the New Year’s Eve Party described below, special priced tickets are available for an additional $90. This is the Banff Springs’ biggest New Year party with a four course gala dinner with wine service, host bar, live entertainment and midnight buffet. If you don’t wish to attend the whole gala evening described above, you can join the party after dinner at 10pm. The events described above are specially organized for New Year’s Eve, however the other hotel restaurants are also open for business as usual, including the Waldhaus, Samurai and Castello, all of which require reservations. Grapes Wine Bar and the Rundle Lounge will also be serving food on New Year’s Eve on a first come first served basis (reservations not accepted). There will also be entertainment in the Rundle Hall from 9pm to 1am. For information about Banff New Year’s Eve Packages including accommodation at the Fairmont Banff Springs Hotel click here. Apart from our picks above, there are many other festive events happening at the Banff Springs throughout the Xmas and New Year period. For full information, see the Christmas at the Castle brochure at the Fairmont Banff Springs website. While we have made every effort to provide accurate information, we recommend that you confirm all events and pricing directly with the hotel. Christmas celebrations start early in Banff on November 19th 2016 when from 10am to 4pm you can have your photo taken with Santa at Banff Train Station for a $10 donation. The main event of the day is the Santa Claus Parade of Lights which starts at 6pm and runs from Elk St to Buffalo St via Banff Ave. The parade will include festive floats and Christmas lights and will no doubt be the highlight of the day for all the children. The following weekend on November 26th-27th 2016 the Banff Christmas Market will take place at Warner Stables, and will include shopping, wagon rides and carol singing. The same weekend on Saturday Nov 26th there will be cookie decorating, games, crafts plus a Christmas treasure hunt at the top of Banff Gondola from 11am to 1.45pm. On Saturday December 3 2016 from 10am-4pm there are free Holiday Wagon Rides along Banff Avenue, starting at the Banff Trail Riders Store. Also on Dec 3 in the Bison Courtyard from 11.30am family festivities will include stories, puppet shows, and a good helping of Christmas spirit! From 2-4pm Santa will be visiting the Banff train station where kids can have their photo taken with Santa. Also from 1-4pm the Whyte Museum will be hosting A Whyte Christmas, featuring carols, crafts, cookies and hot chocolate. If you would like to combine your Christmas in the Rockies weekend with some skiing or snowboarding, you should check out the Banff ski packages which combine hotels in Banff with lift tickets at a discounted rate. For anyone lucky enough to be staying at the Fairmont Banff Springs Hotel during the Christmas or New Year period, there is no end of fantastic activities and wonderful dining experiences to be enjoyed. If you haven’t booked your hotel yet, take a look at the Banff Christmas hotel packages for a few interesting options. Then you can decide how to fill your Xmas schedule: from Christmas Parades to Carol Singing, from Snowshoeing to a Gingerbread House Workshop, their Christmas at the Castle brochure is jam packed full of special holiday events right through the month of December. Below, the team at Banff.mobi has highlighted some their favorite activities and the main dining options for the Christmas period December 24th to 26th 2011. Christmas is a very busy time at the Banff Springs and it is strongly recommended that you make reservations for any events and all dining before you arrive at the hotel. Christmas Day will no doubt involve indulging in some terrific food, so why not get out for some exercise on Christmas Eve by joining the Wilderness Walk from noon to 1pm. Cookie Decorating looks like a fun event for the family and takes place from 1-2.30pm and costs $25 per dozen. Santa’s Workshop (3-5pm) is sure to get the kids excited for the big day, and the Great Santa Send-Off (5.30-6pm) is a fun and lively event for all. The Traditional Christmas Sing Along (9.30-10.30pm) has taken place at the Banff Springs for years and is a wonderful opportunity to sing and hear all your favorite carols in a very festive atmosphere. 5 course dinner with live entertainment and dancing. After a morning of swapping Christmas presents, you might feel like some fresh air, so why not Skate with Frosty from 1pm to 4pm on the Waldhaus rink, where there will also be a fire and hot chocolate to warm you up! If you don’t have skates, they can be rented from the ski rental shop at the Conference Centre. If you want to move at a slower pace why not try your hand at Curling, which is available on the rink outside the Bow Valley Grill from 8am to 8pm, and to wind down after an action-packed day, the children may enjoy listening to Bedtime Stories from 8pm. If you haven’t yet tried your hand at Bowling, Boxing Day might be an opportunity to do so from noon to midnight at the Banff Springs Bowling Centre, and the Snowshoe Shuffle sounds like a fun outdoor event from noon-1pm. Bingo Night (7-8.30pm) is sure to provide some light-hearted fun for all, while Family Movie Night (9pm) may be a great way to wind down on Boxing Day night. Festive feast in the hotel’s signature dining room. For information about Christmas packages at the Banff Springs including accommodation, click here. Apart from our picks above, there are many other festive events happening at the Banff Springs throughout the Xmas period. For full information, see the Christmas at the Castle brochure at the Fairmont Banff Springs website. On January 20th the Vancouver 2010 Olympic Torch will arrive in Banff, carried by local Olympic medal winner Karen Percy Lowe. The Olympic Flame is due to arrive in Central Park at 6pm, which will be followed by entertainment including live music from the popular quartet The Canadian Tenors, and the latin influenced group, Bomba. The entertainment in Central Park is due to finish at 8pm, after which the Royal Canadian Legion and Wild Bills will be carrying on the celebration downtown. A quick look at the Vancouver 2010 Olympic Torch Relay Map shows the route in Banff starting near the Rocky Mountain Resort, proceeding along Banff Ave, turning right onto Elk St, left onto Lynx St, left onto Wolf St, and then right onto Banff Ave as far as Central Park. If you miss the Flame on January 20th, there will be a second opportunity to see the Relay the following day, January 21st, as the Flame leaves Banff starting at the Banff Springs Hotel at 13.07, down Spray Ave, crossing the river at Banff Ave, turning right onto Caribou St, left onto Muskrat St, left onto Moose St, left onto Banff Ave, right onto Wolf St, and then a right turn onto Lynx St towards the Highway, from where it will then make its way to Lake Louise. 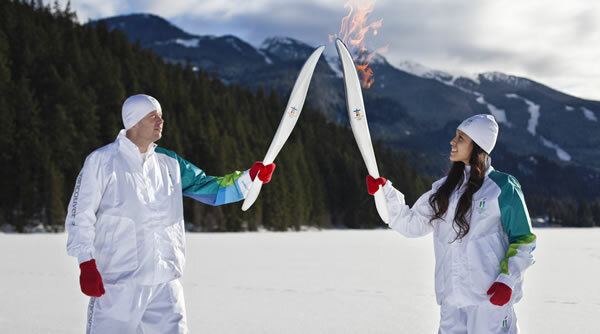 The Olympic Torch will reach its final destination in Vancouver on February 12th. It’s been a great start to the winter for Banff and Lake Louise ski resorts, with both Sunshine Village and Lake Louise already having all lifts open thanks to some fantastic early season snow. Norquay has also been open at weekends since October 31st and will open fully on December 4th. Sunshine Village is reporting a 107cm snow pack, while Lake Louise reports 65cm mid mountain and 93cm at the mountain top. To get you in the mood for skiing and riding, check out these recent photos from Lake Louise. Judging by the amount of snow already on the ground both in the Banff and Jasper areas, it looks like we’ve got yet another excellent winter ahead of us in the Canadian Rockies! On August 15 and 16 the 2nd annual Banff Dragon Boat Festival takes place at Lake Minnewanka. Dragon Boat Racing is a centuries old Chinese tradition, which involves teams of 22 paddlers in an ornate 40ft long boat, paddling to the beat of a loud drum. As well as providing a lot of fun for the competitors, the Festival is great for spectators, who can watch from the shores of the lake while taking in the stunning scenery surrounding Lake Minnewanka. Races take place from 9am to 3pm on the 15th and 16th and a free shuttle is provided from 8am to 5pm to take spectators from downtown Banff to Lake Minnewanka and back. There are also cultural performances on the 15th in Banff Ave Square from 3pm to 5pm, which include dance teams and First Nations drummers. Last year’s inaugural event was a great success, and all the fun is sure to be repeated in a bigger and better festival this year. For full information see the official Dragon Boat Festival website. 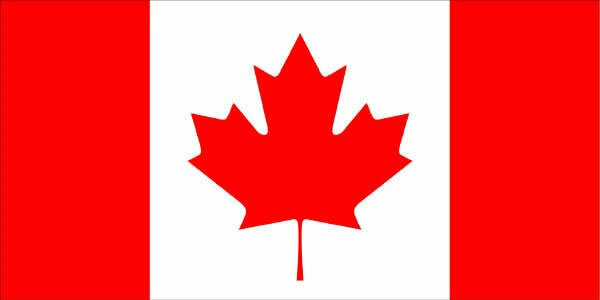 July 1st is Canada’s birthday, otherwise known as Canada Day. Entrance to Banff National Park is free and the town of Banff has a whole day of events and celebrations lined up for 2009. 11.00pm Annual Banff Canada Day Fireworks can be viewed from Central Park or Bow Ave. The Banff Wine & Food Festival succeeded in attracting more than 2000 people to the Grand Tasting Hall in the conference centre at the Banff Springs Hotel on May 2nd, and those in attendance were treated to a glorious sunny day, excellent cuisine and a good selection of wines, beers and spirits. After picking up our sampling glass and tasting coupons, the aroma of Indian spices guided us directly to the stall where Fuze’s Executive Chef Gary Dayanandan was preparing exquisite Chili Prawns and, for dessert, a superb Sticky Toffee Pudding. The Fairmont Banff Springs Hotel was represented by five of its restaurants, each of which produced an impressive and intricate dish, such as Organic Chinook Salmon with a Chipotle Glaze, Seared Scallop with Lemon Orzo Pasta Risotto, and Maple Braised Pork Belly. The Bison Restaurant and Lounge offered a festival special of Pulled Bison on a Mini Brioche, and also gave a sampling of their excellent Swiss Cheese Fondue, one of 3 new fondues offered in the restaurant. Meanwhile burger lovers were well looked after by the Eddie Burger & Bar, whose mini bison burger gave us a good reason to sample the full size version at a later date. There were a lot more wine and drink stalls than food stalls, and choosing between them was a little bit more difficult, which made us think that it would have been interesting if wine pairings had been offered by the restaurants along with the food samples. The wide selection meant that most grapes and many regions could be sampled and our particular favorite was the 2006 Cashmere by Cline Cellars, a blend of Grenache, Syrah and Mourvèdre. All in all, it was the Banff restaurants that really shone at this event, and Banff’s reputation for first class dining was certainly reinforced. We are already looking forward to next year’s festival! Fuze is offering a Mother’s Day Brunch Buffet from 10.30am to 2pm featuring eggs benedict, omelettes made to order, smoked salmon, tempura crab sushi rolls, various salads, top sirloin of roast beef, barbecue pork ribs, poached salmon, sticky toffee pudding, plus much more for $27 per person, and $15 per child 12 & under, including tax & gratuity. The Juniper Hotel & Bistro are giving free flowers to Mom at their brunch buffet, which takes place from 10am to 2pm and costs $34pp, $15 for children 6-12 yrs, and free for children 5 & under. The menu includes bison whiskey sausage, french toast with berries and whipped cream, carving station with honey roasted ham, plus a crepe station. The full menu looks delicious and can be seen here. The Keg’s Mothers’ Day Brunch Buffet is from 11.30am to 2pm and features a salad bar, eggs benedict, French toast, three mushroom roasted chicken, Canadian AAA prime rib roast, and decadent chocolate desserts for $18.95 pp, and $6.95 for children 12 & under. The Rimrock Resort Hotel is offering a buffet from 10am to 2.00pm for $38pp, $16 for children 6-12 yrs, and free for children 5 & under. The Fairmont Banff Springs Hotel will be offering a larger and more elaborate version of their usual Sunday brunch in the Cascade and Alberta rooms from 10.30am to 2.30pm for $55pp, $15 for children 6-12 yrs and free for children 5 & under. The Banff Park Lodge are hosting their Mother’s Day Brunch in the Chinook restaurant from 10am to 2pm for $29.95pp, $24.95 for seniors, $19.95 for children 6-12 yrs, and free for children 5 & under. Their extensive brunch menu can be seen here. Reservations are strongly recommended for all of the above events. If you are a Banff restaurant owner and would like us to feature your Mother’s Day Brunch special, please leave us a message in the comments below and we will be happy to include you. The second annual Rocky Mountain Wine and Food Festival will take place May 1-2 2009. The main event will be in the Grand Tasting Hall at the Fairmont Banff Springs Hotel on Saturday May 2nd, where a selection of wine, beer, and spirits can be tasted as well as food from some of Banff’s best restaurants. Choose between an afternoon tasting session from 2-5pm and an evening session from 7-10pm. Entrance tickets cost $20 online or $25 at door (depending on availability). Sampling coupons are extra and can be purchased at the event. In addition, on the Friday evening participating Banff restaurants will be offering special festival menus and events, such as the Wine, Charcuterie and Cheese evening at the Bison Restaurant and Lounge, the “Gold Medal” Chef’s Table Dinner at the Three Ravens Restaurant and Wine Bar, and the Wine Country Cooking Class at Fuze Finer Dining. On Saturday night the popular Aurora Nightclub will be hosting the Festival After Party, where Absolut cocktails will be served at their Onyx Bar. This is a fantastic event for food and wine lovers, and is a great excuse to visit Banff in the springtime, when you can still go spring skiing or take a sightseeing tour before the summer crowds arrive. Special Banff hotel packages are also available for the event. For more information and to purchase tickets for the Grand Tasting Hall, visit www.rockymountainwine.com.